Here's a look at some of the more helpful, lesser-known features hiding out in Android 7.0. Nougat is here—finally! And we’re not just talking about the opt-in beta. Google has finally released Android 7.0 Nougat for Nexus users. With it comes a slew of new features, tweaks, and changes that should help make your Android experience even better than before. There’s been plenty of information published on Nougat’s new offerings—like its support for split-screen apps and direct reply messaging—but there are also a number of smaller features that are just as helpful that haven’t been touted as loudly. 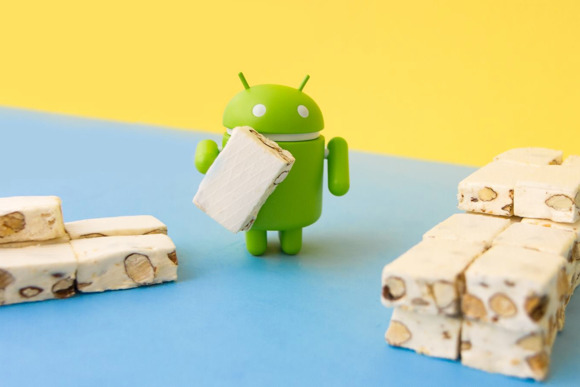 Here’s a look at some of those hidden features you should be using if you’ve got Nougat running on your Android device. Multi-window will be helpful for those with bigger screens, though not all apps are compatible with Nougat’s new split-screen feature. Fortunately, there’s a developer option that allows these apps to be resized regardless of whether they’ve been optimized. Of course, there's no guarantee they'll work right. To access this ability, you’ll have to first enable Developer options. Go the Settings panel, and under About > Software information, tap on the Build Number seven times. This option will force those apps that aren’t compatible with multi-window to work regardless. 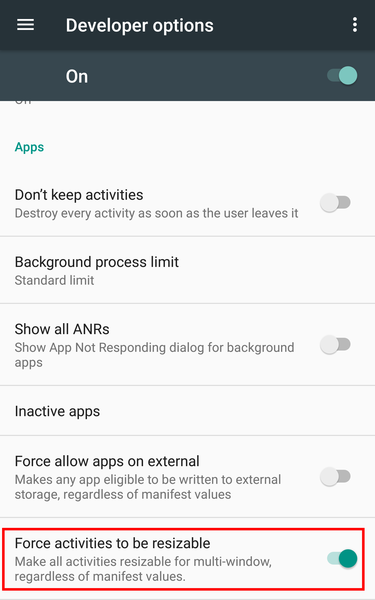 Once you’re alerted that Developer options have been enabled, head back to the main Settings panel, tap on Developer options at the bottom of the screen, and then tap on “Force activities to be resizable” to make all apps compatible with Multi-window. 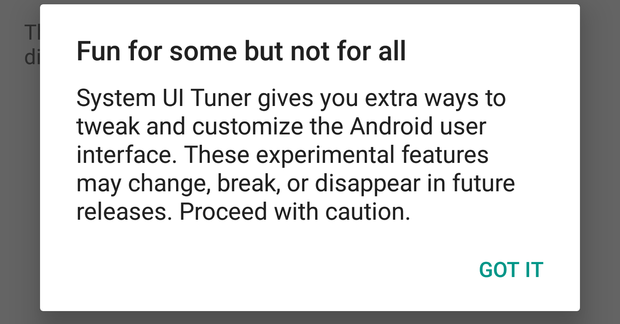 The System UI Tuner will give you a warning about enabling the feature. 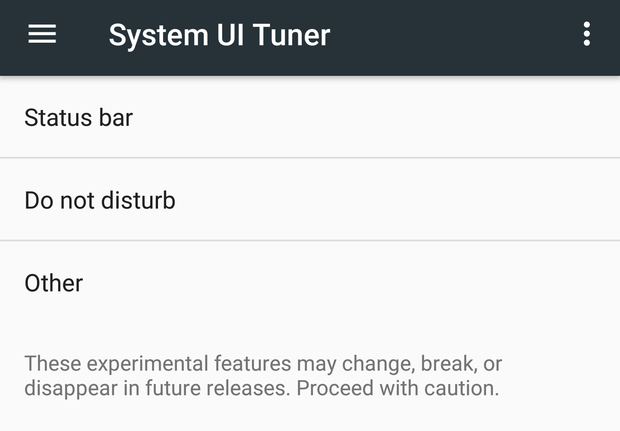 The System UI Tuner lets you fine tune design elements and gestures across Nougat. To activate it, simply tap and hold on the Settings icon in the Quick Settings menu and then wait for it to spin. You’ll know it’s been enabled when you see an alert that it’s been activated. These three categories contain a ton of customizable interface features. The System UI Tuner was also a hidden feature in Marshmallow, but Nougat brings with it a few new tools. For instance, you can turn on Power Notification controls, which enables more granular control over an individual app’s notifications. You can even turn off all the Quick Settings so that you only have notifications appear in the drop-down shade. Take some time to play around with what the System UI Tuner has to offer, but remember that most of the features are still experimental. 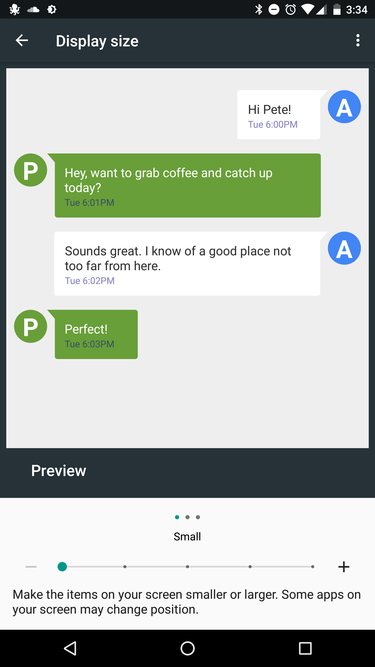 You can choose between five different font sizes for Android Nougat. There’s no shame in preferring to navigate an interface with a larger font size. In Nougat, you can easily adjust the size of the Android interface under Display > Display size. Be sure to swipe left in the preview pane to cycle through the different interface samples. Once you’ve made your decision, you’ll see the changes immediately implemented in the interface. You can set up Automatic rules for more than just your alarm settings. I like to sleep with the Do Not Disturb mode turned on so that those pesky midnight calls from long-lost relatives don’t wake me from my slumber. But after my alarm goes off, I tend to forget to turn the volume ringer back on, thus resulting in a ton of missed correspondence later on in the day. Make sure you select the last option to have the Alarm turn off Do Not Disturb mode. Thankfully, Nougat offers a feature that disables Do Not Disturb after your alarm rings. Go to the Settings panel, and under Sound > Do Not Disturb, tap on Automatic rules. 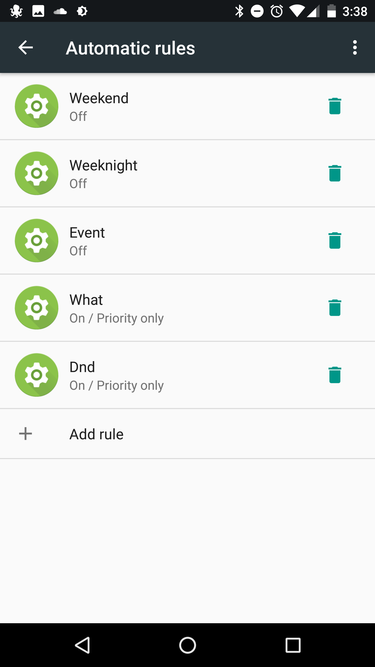 Tap to Add rule > Time rule and give it a name. 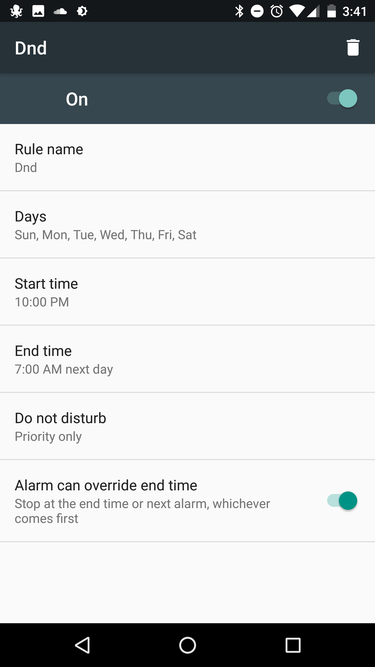 On the next screen, select the days that you rely on a morning alarm, and then make sure to tap the “Alarm can override end time” option at the very bottom of the screen. Once that is selected, you’re good to go! It seems as if spam calls have become more frequent since smartphones became more ubiquitous, though that’s likely because we always have our devices near us to see when those pesky numbers call. 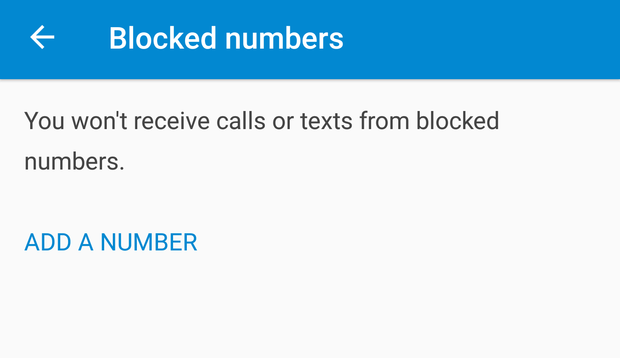 Block offending numbers with the Dialer app’s new feature. In Nougat, you can now block those frequent agitators from calling or texting you ever again. In the Dialer app, tap the menu button, and then navigate to Settings > Call Blocking. From here, you can manually enter in any number you wish to block. 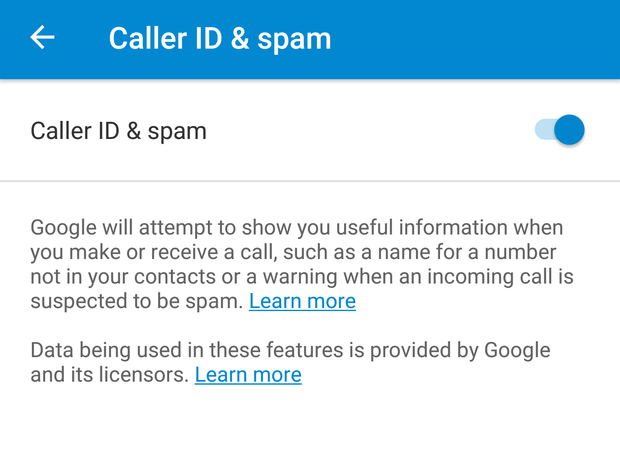 Nougat could help you rid of spam calls in the long run. Be sure to also enable the “Caller ID & spam” feature that’s available from the same Settings menu. Once it’s turned on, Google will alert you if the number you’re corresponding with has a spammy history.